The expo will feature 110+ business exhibitors, 75 partnering business organizations, 20 BOOM TV executive interviews and 9 Executive Speaker Panels. 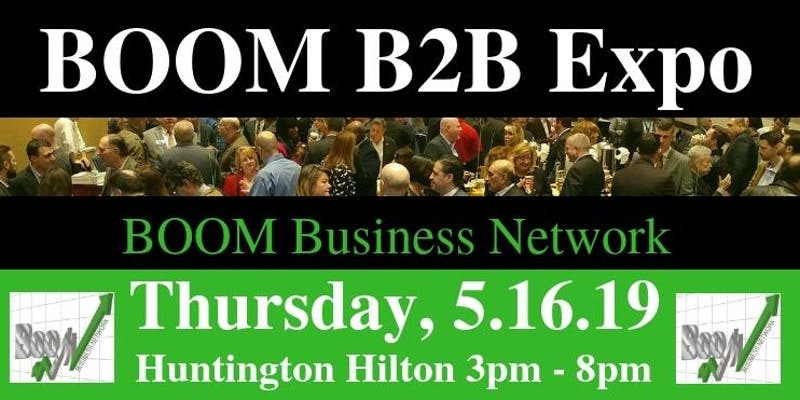 The event will consist of all local Long Island businesses, executives and organizations. Business moves at the speed of a brand new sports car full throttle on the Audubon, but if you’re still driving an ’02 Taurus then you just don’t get it. The culture that is ‘Business 2019’ is smart, sympathetic, efficient, and oh…did I mention in the cloud? Join management consultant and speaker George Andriopoulos as he journeys through the landscape of business from yesterday through tomorrow and offers his actionable insights on how to scale your business using the gift of the new, disruptive business culture as your primary tool.